The pomegranate, one of the world’s oldest fruits, revered and held sacred by many religions and cultures since ancient times, was never on my radar growing up in eastern Canada. As this exotic fruit became more popular in the west and more widely available in grocery stores, my awareness grew. They are especially abundant in the stores from September to January when the ones grown in California are in season. 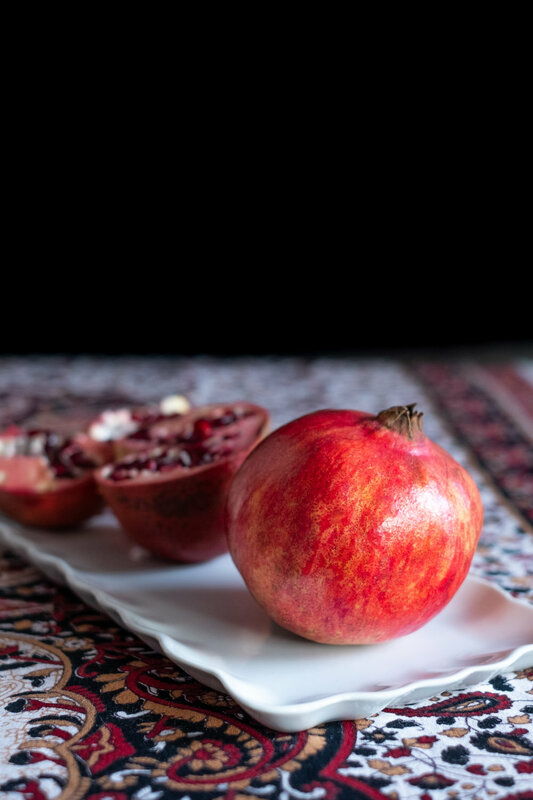 However, the pomegranate remained mysterious and unfamiliar; I knew nothing about its rich history and it would be years before I would finally taste one. 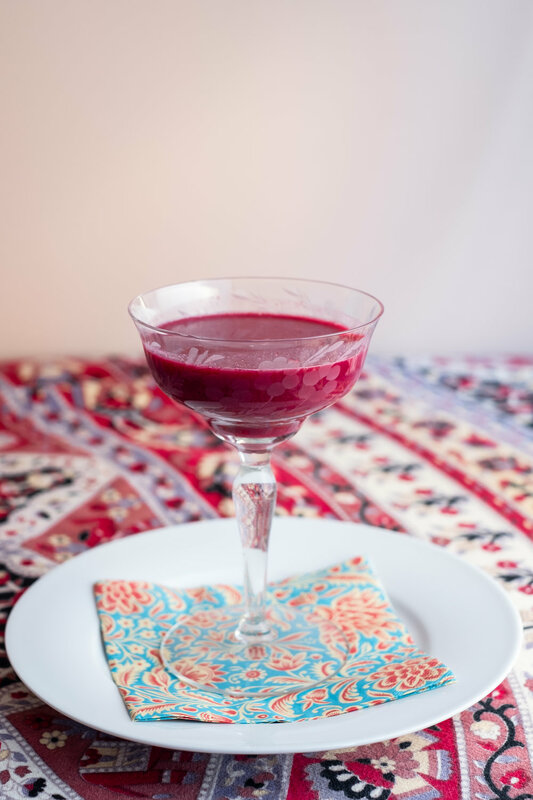 The pomegranate is believed to have originated in Persia as far back as 2000 B.C. It’s a fruit that’s inspired cultures around the world. 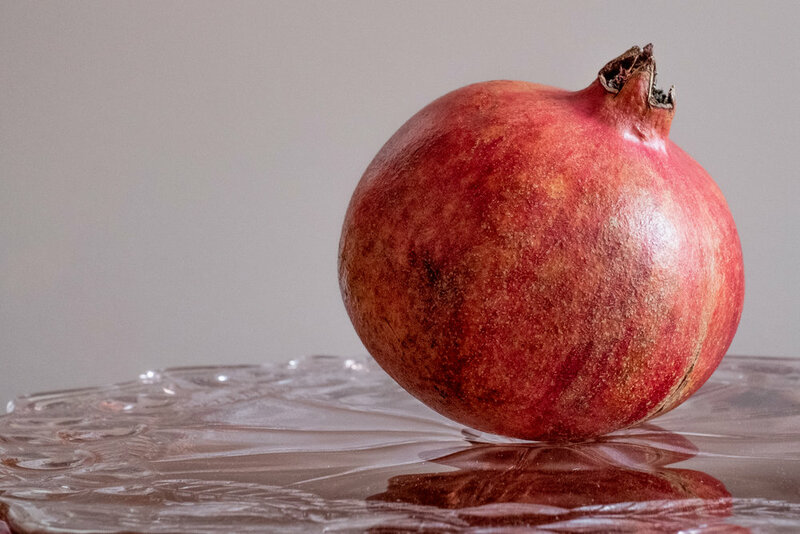 The pomegranate is represented in Greek and Roman mythology, biblical texts, ancient manuscripts, Chinese folktales, and the sacred writings of Islam, and it’s the fruit of choice on Rosh Hashana, the Jewish holiday. Some scholars debate whether the apple in the Garden of Eden was in fact a pomegranate! It’s been portrayed in sculpture, architecture, stained glass, mosaics, ceramics, textiles, and often depicted in paintings, usually in the hands of the Virgin Mary, the infant Jesus or a Greek goddess. It also figures in texts such as The Canterbury Tales, The Odyssey, and Romeo and Juliet. My introduction was pomegranate seeds in a festive cocktail someone served me. Tiny ruby-red, jewel-like capsules (called arils but mostly referred to as seeds) brightened the drink. When I bit into one it released an unforgettable sweet-sour juice in my mouth. The more I see whole and unseeded pomegranates in the shops, the more I note their sculptural appeal. I like the odd shape. Sometimes the skin, a thick leathery peel in shades of red, pink, yellow, orange and purple, is bumpy and uneven and there’s that funny tiny crown at one end. Pick one up and feel its unexpected weight, evidence of hundreds of seeds inside. The seeds’ healing properties have been extolled since ancient times and, in the last several decades, scientific research has confirmed their remarkable nutritional benefits. Pomegranate seeds have higher than average levels of antioxidants, are rich in vitamin C, K, B-complex and minerals such as copper, calcium, and potassium. Lately, they outshine blueberries in terms of super-food status. Pomegranate seeds are also very versatile. They add colour, flavour and texture to salad, cocktails, dessert, roasted vegetables and grain dishes. You can turn them into juice, eat them by the spoonful or sprinkle them on your morning oatmeal. You can even make pomegranate molasses. I bought my first pomegranates for ornamental reasons. When I finally broke one open I was entranced! Inside, hundreds of tiny red seeds, cushioned and hiding in a spongy white pith and separated into chambers by a waxy membrane. Methods for deseeding a pomegranate abound. 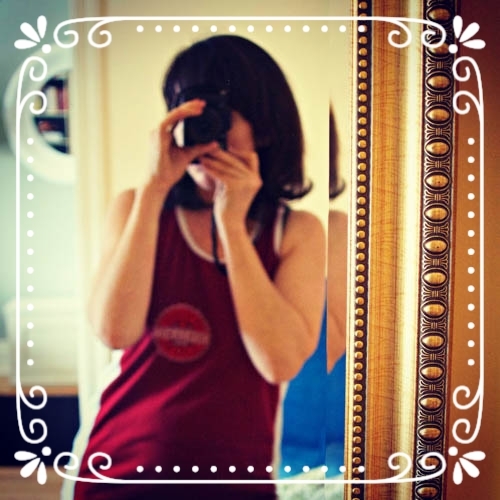 I read about a grandma who kept the children in her care nourished and busy by giving each a section of a pomegranate and a tooth pick to retrieve the seeds, one by one. I love that! You need a knife, a large bowl a wooden spoon, and be good at thwacking. Protect your clothing as if you were about to paint. Pomegranate juice stains! Roll the pomegranate around to loosen the seeds from the peel. Score the peel around the middle of the fruit, horizontally, with a sharp knife. Do not cut through into the seeds. Gently break open into two halves. Hold half of the pomegranate, with the seeds facing down, over a large bowl and thwack the skin with a wooden spoon or spatula. Gently squeeze to encourage the release of the seeds from the white membrane as you continue thwacking. Remove any remaining seeds with your fingers or a spoon. Remove any bits of pith from the bowl. Store seeds in a container in the refrigerator for a few days or in the freezer for several months. To freeze, spread seeds in a single layer on a parchment-lined baking sheet. Place in the freezer, uncovered, for about two hours. Transfer seeds to an airtight container and return to freezer. Whole pomegranates look beautiful in a bowl on a counter top and will keep like that for up to two weeks. They keep in the refrigerator for a few months.